In October 2016, the Stop Child Labour coalition commissioned an external evaluation of its ‘Out of Work, In to School’ programme, that ran from May 2014 to April 2017 and is funded by the Netherlands Ministry of Foreign Affairs. The aim of the programme was to establish child labour free zones using an area-based approach in Asia, Africa and Latin-America, and to mobilise Corporate Social Responsibility (CSR) initiatives and companies to actively address child labour in their full production and supply chains in order to contribute to the creation of child labour free zones and child labour free supply chains. Our ‘No Child Left Behind’ project is part of this larger programme and was also evaluated. 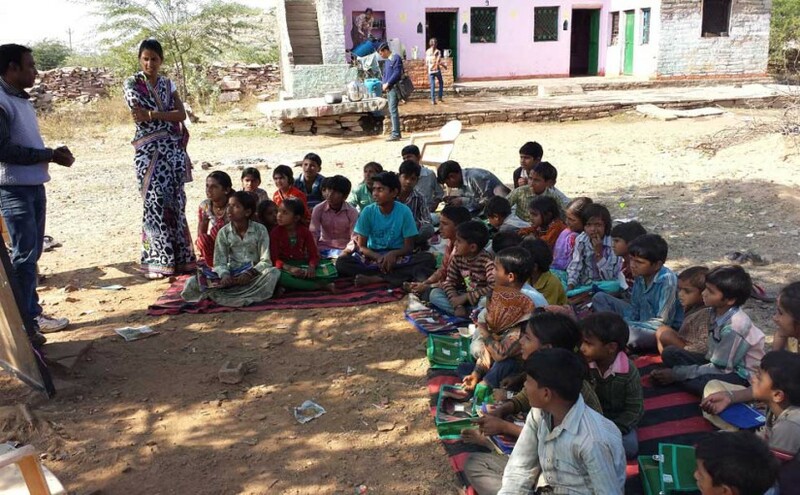 7 schools (6 primary, 1 secondary) are now running fully functional compared with only 1 before; 8 pre-school centres (Anganwadis) are also present whereas none was operational before. Additional teachers to be appointed by June 2017, thanks to strong lobbying of state government. 84 adolescent girls (15-18y) completed stitching training and 22 young men (15-18y) finished a 6-months electrician education, allowing them to be more self sufficient without having to rely on the cobble trade. 17 Women’s self-help groups (SHG) were established, consisting of 197 members. SHG’s are structures for collective saving and facilitating access to credit. They are also to be seen as an instrument of empowerment for women. 570 people received access to pensions or benefits for widows that they were not even aware of. 586 workers received a health & accident insurance, paid for by the employers. Manjari hopes to extend the scheme to all workers in 2017. Welcome to our blog. Our vision: no child is left behind; meaning that no child should be working and every child has the right to a good education and the right to enjoy childhood. The Indian Sandstone cobble industry is tarnished with stories of poor working conditions, bad labour practices and endemic child labour. While these issues do exist, they are not the whole story. Local people, NGO’s and a number of companies, are working tirelessly to improve the lives of people who work in and around the natural stone industry. Numerous positive, community lead initiatives are taking place. 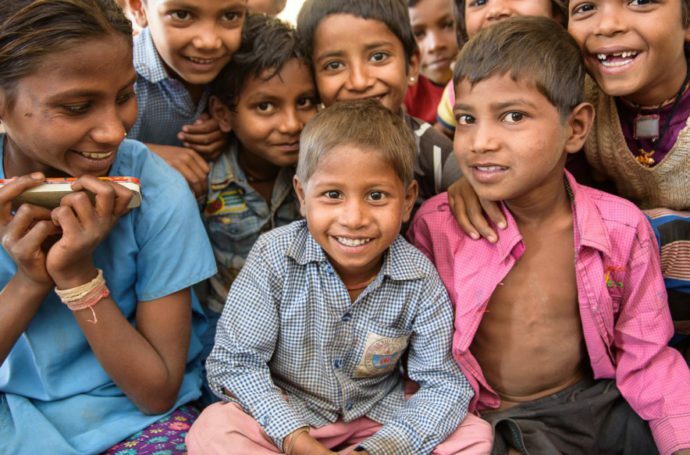 We write this blog to share the good news stories coming out of this program: creating ’Child Labour Free Zones’ in Budhpura. To learn more about the Child Labour Free Zone approach see: http://www.stopchildlabour.eu/child-labour-free-zones/.